Amsterdam (LINK) is a great city for food and wine. Over the past three days, with one more to go, Dorianne and I have had amazing meals. With so many pleasures and options, wine is not the only thing that they focus on in this international city, of course. There are world class beers and spirits and, of course, marijuana to salve the human need for altered states. But where the wine is the focus, they do it very, very well. Guts & Glory (LINK) is a very small restaurant (about 40 seats inside, another 16 outside) in Amsterdam near the Rembrantplein (Square). Dorianne and I went for lunch on a Sunday. We walked into a foodie and wine haven. The plan here is to make an entire menu around one item – fish in summer, pork in winter, beef or fowl in other seasons – and offer up to seven courses based on treatments of that item. It is summer, so we opted for three courses of fish. I asked our server, Liselore, about the wine list and was directed to Ricardo, the sous chef and wine expert. He reviewed the list with me and suggested pairings. We opted to buy by the glass to get the best pairings with each course. 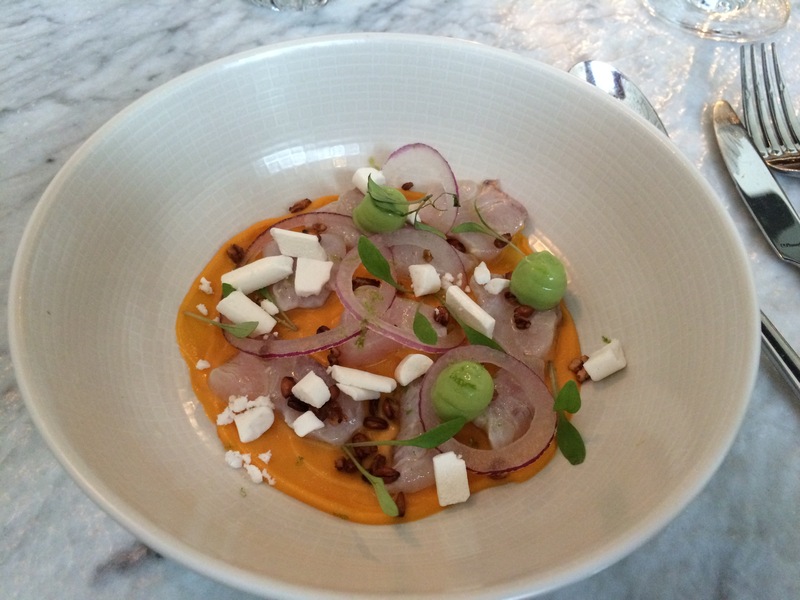 Our first course, after an amuse bouche of seaweed broth, marinated North Sea Shrimp, and deep fried Nori, was a very unusual sea bass ceviche with onions, sweet potato sauce, wheat nuts (deep fried!) avocado paste, and some crispy lime foam (yes). 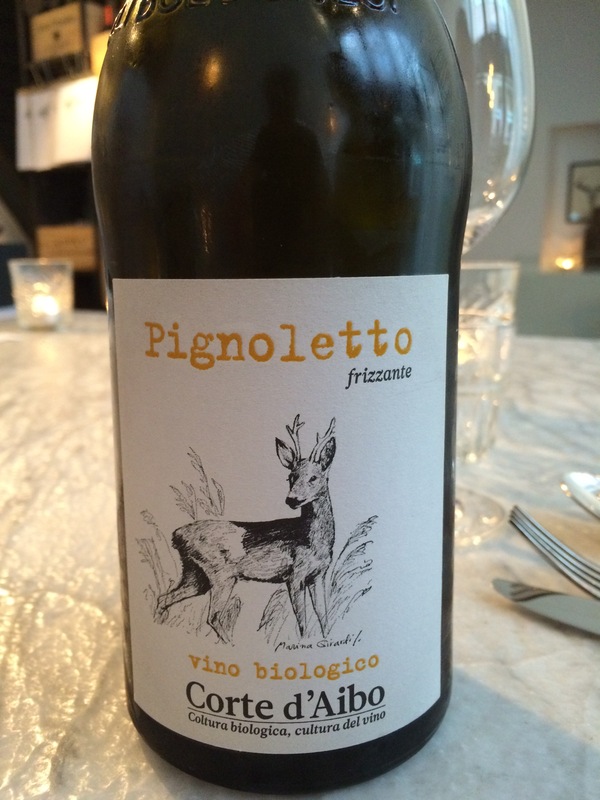 The wine pairing was a sparkling Pignoletto Frizzante Bio DOC `13, Corte d’Aibo (LINK), from Bologna, Italy. The dry sparkler went perfectly with the ceviche. 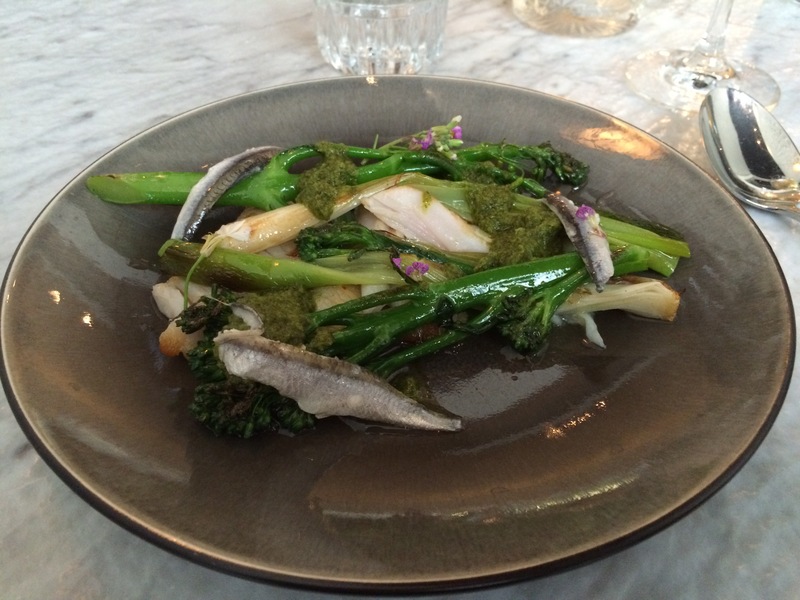 Next, we had skate with Italian Brocollini, onions, anchovies, and other delicacies. 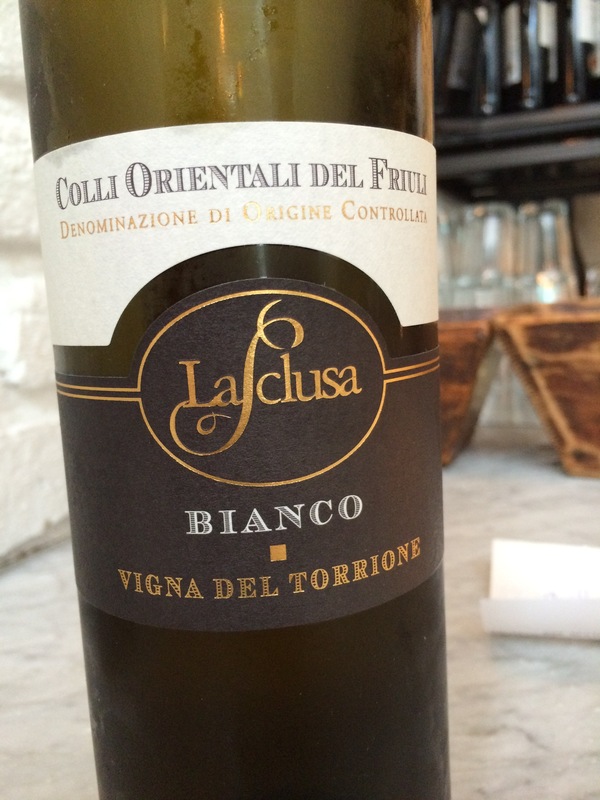 The pairing was a Friulano Vigna del Torrione Bianco DOC ‘12 La Sclusa, (LINK), from Friuli, Italy. I had begun to wonder if Ricardo was only recommending Italian wines, but the next course settled that. By the way, the Fruliano was a perfect match for the skate dish, with little acidity, a nice oaky flavor, and more minerality than fruit in the flavor of the wine. It also had a deep golden color. A very unusual white wine. 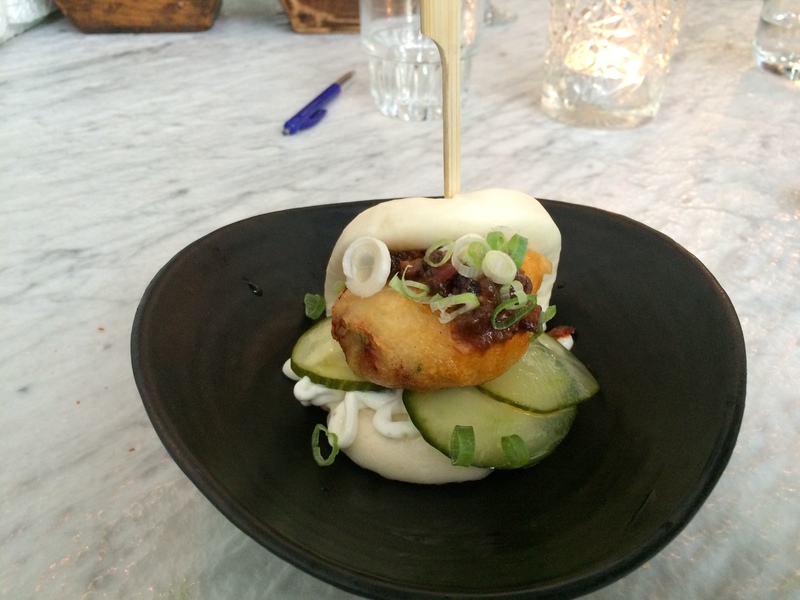 The third course was very different – a cod cake nestled in a steamed beignet with pickled cucumbers, onions, black beans and lime aioli. 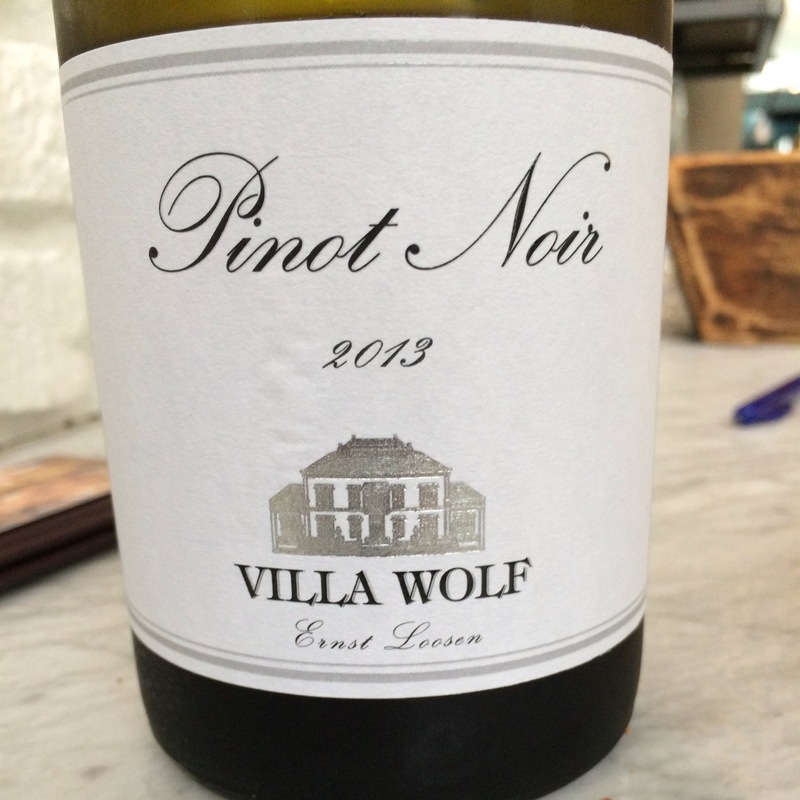 The pairing with this one was a Villa Wolf Pinot Noir ‘13, Ernst Loosen (LINK), from Pfalz, Germany. The German Pinot Noir, of which we had had several on our cruise up the Rhine River this past week, was one of the best I’ve had, with a bit more body than most German reds, plus a floral sense on the nose. It, once again, paired wonderfully with the cod dish. Nice work, Ricardo! The wine list (LINK) is pretty extensive for such a small place, with wines from the Old and New Worlds. 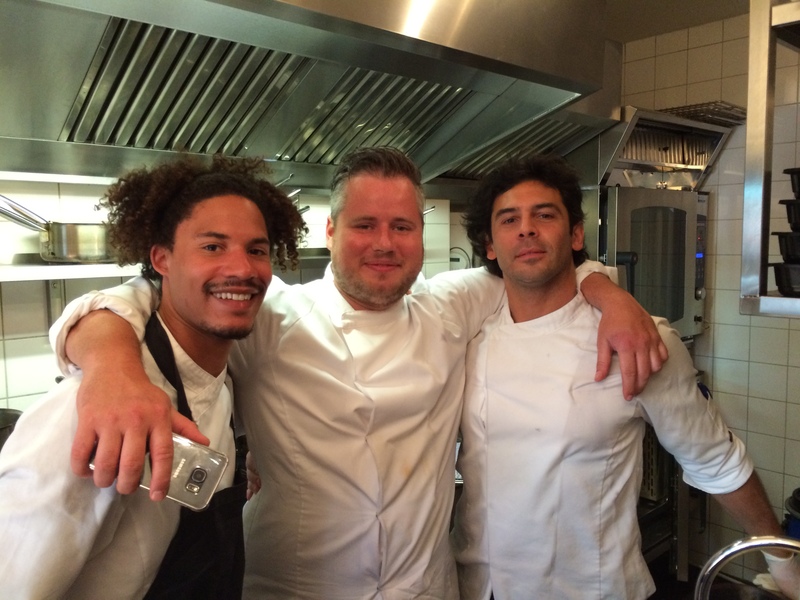 Here is the team – Michael Randag, Guillaume de Beer (Chef/Owner), and Ricardo Russo (Sous Chef/Wine Guy). Not pictured is our server, Liselore Tieshers. A great group! Michael Randag, Guillaume de Beer (Chef/Owner), and Ricardo Russo (Sous Chef/Wine Guy). 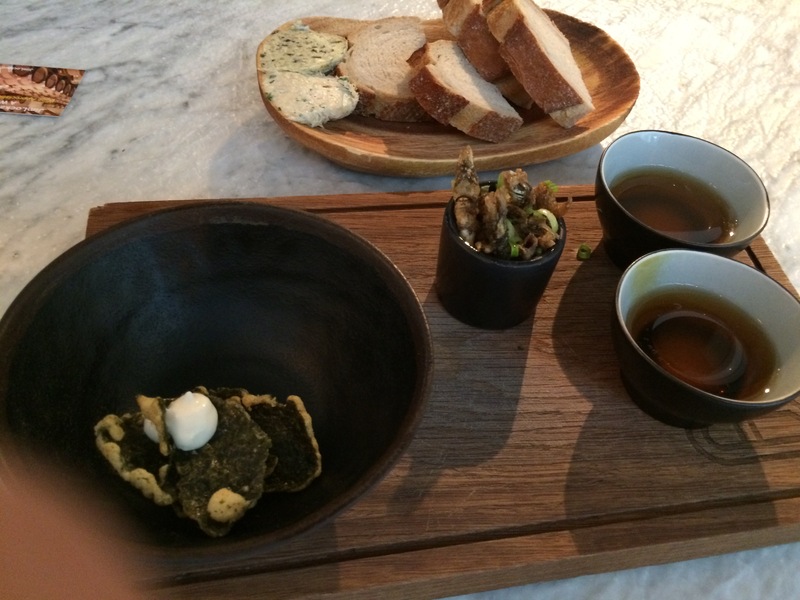 Guts & Glory was a very good preparation for our visit to NOMA in Copenhagen later this week.